Since it's been so long since a full Graze review, I thought it would be more fun to show off my favorite snacks that I've gotten in recent boxes. I actually think I like this method better for reviews, since I get a lot of the same snacks every so often and it gets boring to keep reviewing them. So from now on, after every few boxes I will do a "best of" review. Some snacks I will have had before and love, and others will be brand new that I really enjoyed. 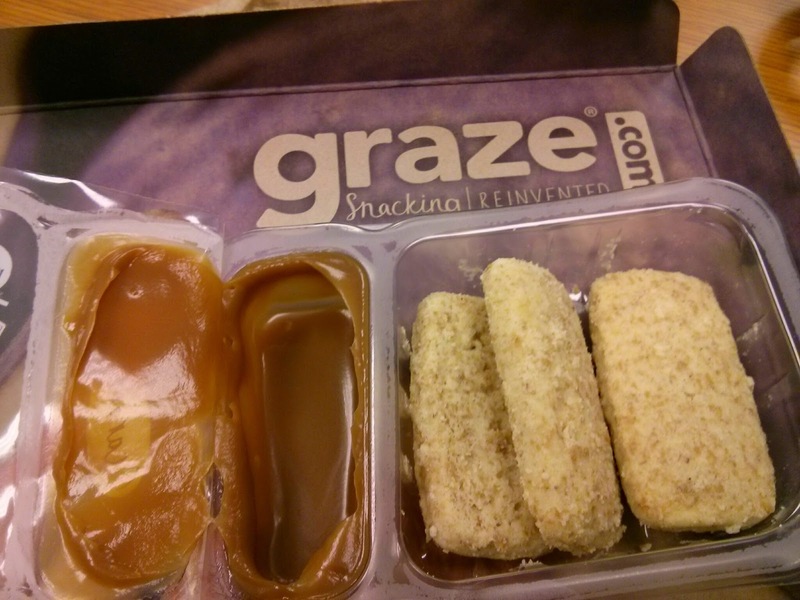 Wholegrain Banana Caramel Dippers - These taste like cookies but are somehow health (wholegrain + bananas) and I am particularly fond of the caramel sauce. 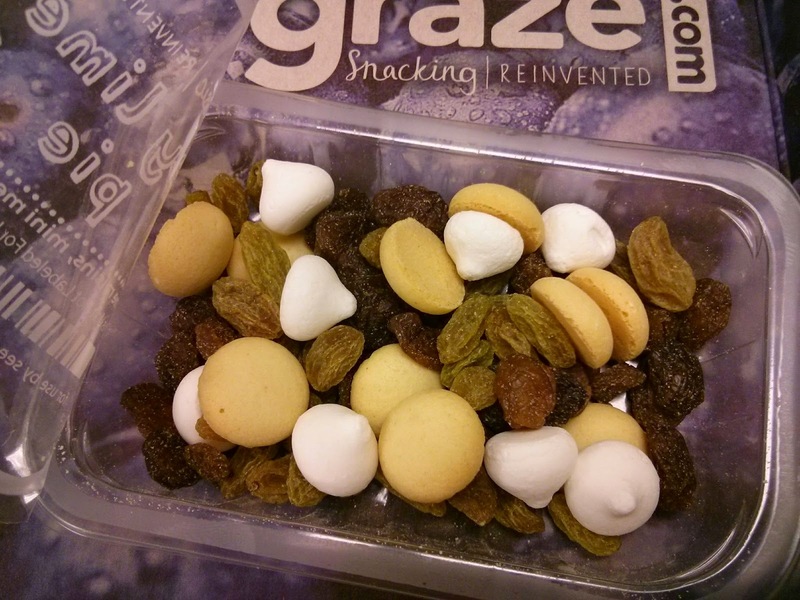 Garden of England - mini strawberries, apple, and blackcurrants - Graze is based in the UK (hence the England reference). This is my new favorite dried fruit snack. It even inspired me to go out and buy dried strawberries. I don't think I've had blackcurrants before, and they were good. 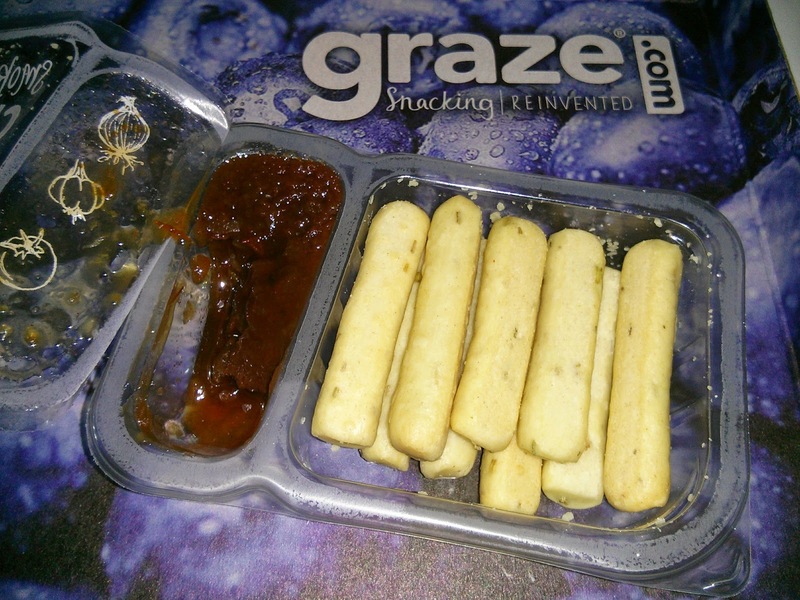 Herby Bread Basket - basil baguettes, garlic crostini, and oregano rice crackers - Yeah, you know this is my favorite Graze snack of all time. I just get excited when it shows up. 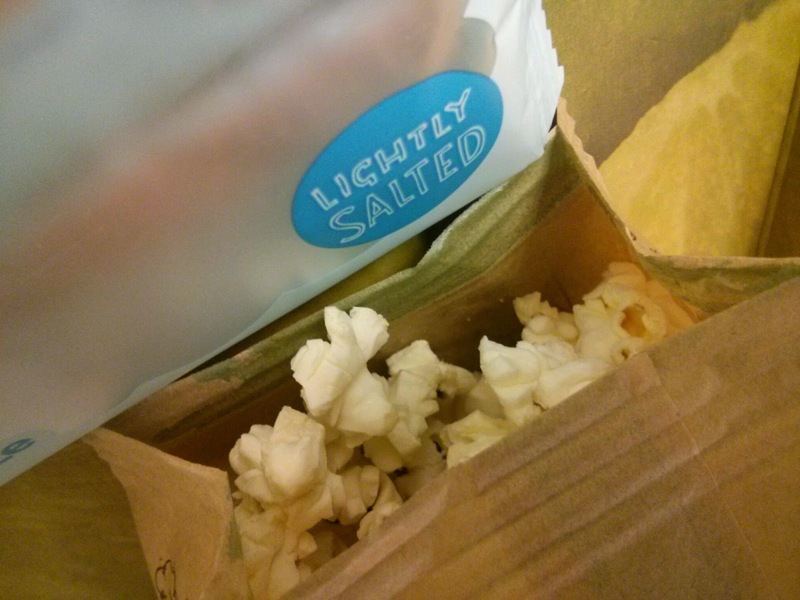 Lightly Salted Popcorn - Okay, and this is my second favorite Graze snack. I am a big fan of their popcorn. It pops perfectly for me, has a great flavor, and is a full size bag of popcorn. I am always happy to get it in my box. 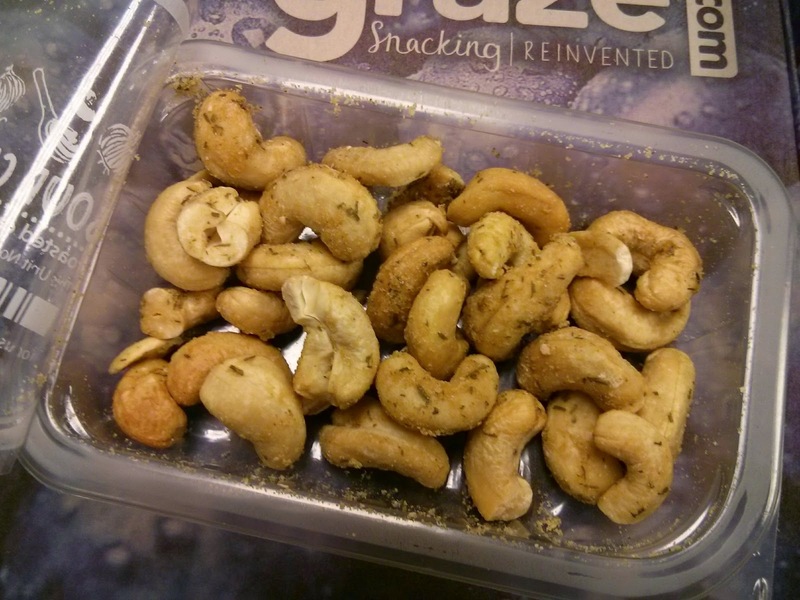 Sour Cream and Onion Cashews - This is the snack that made me realize I actually really, really like cashews. I would eat a lot more nuts if they all tasted like this. Key Lime Pie - lime raisins, mini meringues, sponge pieces, and green raisins - This tastes exactly like a key lime pie. Smoky Chipotle Dip with Rosemary Breadsticks - I am always surprised when I like something spicy. Somehow Graze makes it just right. These are good. 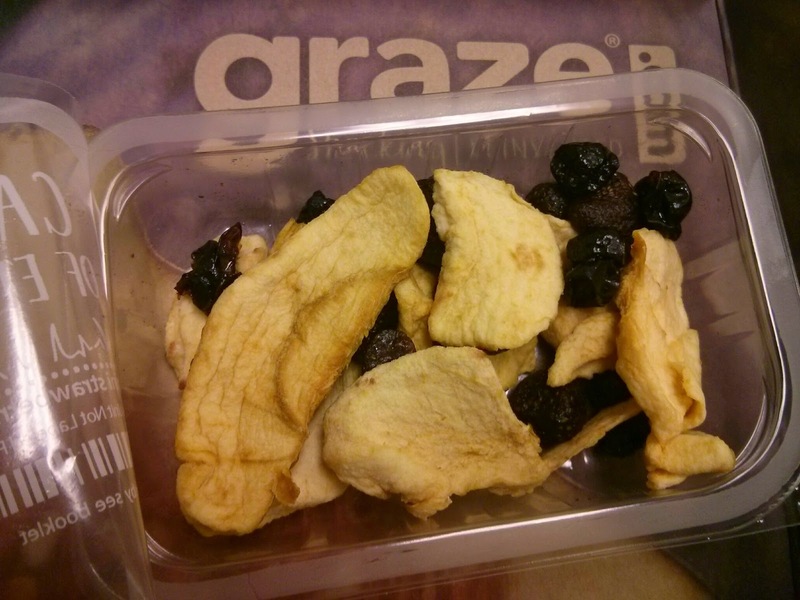 If you're interested in getting a yummy box of snacks every week or two weeks, you can sign up for Graze here. If you use that link (which is my referral link) you'll get your 1st and 5th boxes for free! Each box is $6 and comes with 4 snacks. Right now, I get a box every two weeks, which is about how long it takes me to work through a box (sometimes I go through them really quickly, though). Graze is also now about to start offering a box of 5 resealable big bags of snacks (for $25 -- $5 a bag), which is a great idea if you really love something they offer and need a bigger size of it. 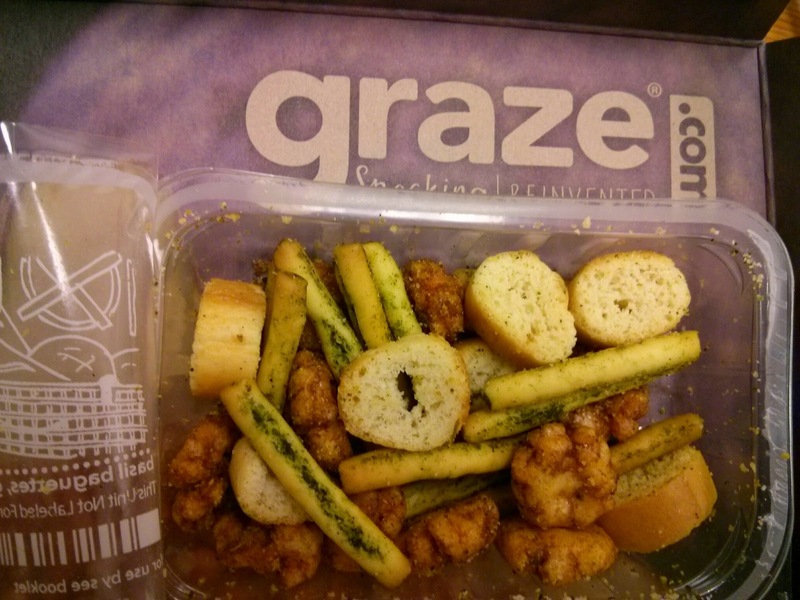 Do you get Graze or any other food boxes? What do you think about the new way I'll handle these reviews?